Tato recenze otev�en� hovo�� o filmu a m��e obsahovat potencion�ln� spoilery. Z filmov�ho sv�ta od DC jsem m�l v�dy velmi sm�en� pocity. Mu� z oceli mne nijak neoslovil a nesd�l�m nad�en� mnoh�ch z tohoto zpracov�n�. Rozhodn� netvrd�m, �e je to �patn� film, to ur�it� ne. Jen mu chyb� ono kouzlo, na kter� jsem zvykl�, a� u� ze seri�lov�ho prost�ed� DC, nebo z MCU. Batman vs. Superman se mi za�al l�bit a� po zhl�dnut� roz���en� verze. Kino verze byla a� p��li� osekan� a n�kter� ��sti ztratily sv�j v�znam. Je�t� v�t�� nepo��dek byl Sebevra�edn� odd�l. Tomu bohu�el nepomohl ani upraven� sest�ih. My�lenka byla dobr� a podpo�ilo ji i skv�l� hereck� obsazen�. Jen�e i to bylo z�ejm� m�lo a cel� sn�mek jaksi postr�dal prost�edn� ��st. Wonder Woman je prvn� sn�mek, kter� svou hlavn� d�jovou lini� nenavazuje na p�edchoz� d�ly. To je dle m�ho n�zoru nejv�t��m plusem. Sv�m zp�sobem mi Wonder Woman p�ipom�n� Rogue One. D�ky BvS jsme se m�li mo�nost sezn�mit s Dianou, nezastavitelnou bojovnic�. A� d�ky jej�mu nov�mu p��b�hu ji m��eme vid�t jako d�t�, puber�a�ku a nakonec kr�snou mladou �enu. �enu, kter� bezmezn� v��� princip�m sv�ho n�roda a pevn� v��� v lidstvo. Bylo zaj�mav� sledovat, jak postupn� m�nila n�zor a dosp�la a� do f�ze, ze kter� ji dostal a� Bruce Wayne. Ten v n� znovu vzbudil touhu pom�hat lidem i za cenu p�ehl�en� jejich �patn�ch vlastnost�. Cel� sn�mek vid�me prost�ednictv�m flashbacku, kter� vyvolala spole�n� fotografie z 1. sv�tov� v�lky. Tuto fotografii jsme m�li mo�nost vid�t ji� v �svitu spravedlnosti. Film m� relativn� pomal� tempo, ale pro p�edstaven� postavy to funguje dokonale. Kdy� u� se do�k�me akce, tak v epick�m m���tku. 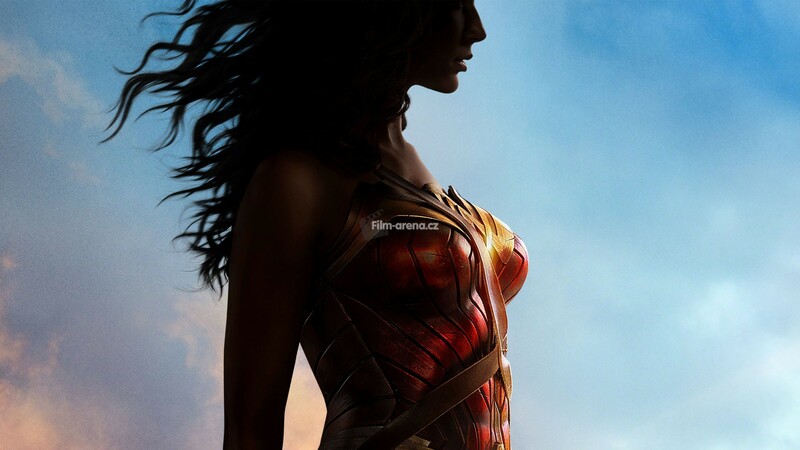 Za jeden z m�la m�nus� mus�m ozna�it CGI pou�it� na bojov� sc�ny Wonder Woman. U� z trailer� vypadali jej� pohyby zna�n� nep�irozen� a ��ste�n� se toto p�eneslo i do samotn�ho sn�mku. Nicm�n� v tomto p��pad� to vn�m�m jako nezbytn� zlo pro dotvo�en� co nejlep��ho efektu. 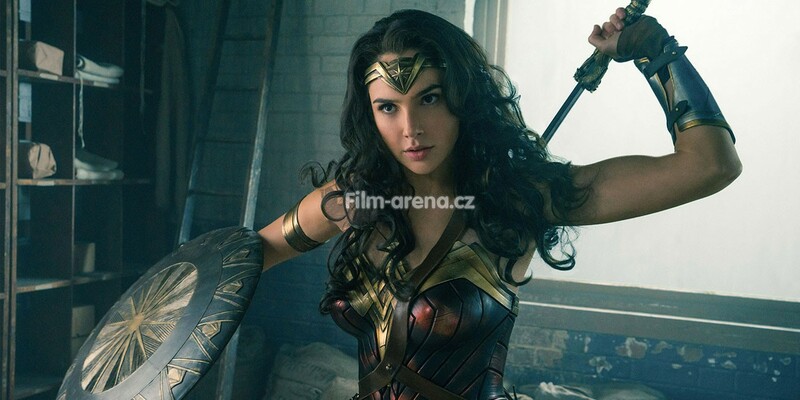 Wonder Woman je rychl� a obratn�. Nen� to p�eci jen oby�ejn� �ena. Zdigitalizov�n� jejich pohyb� na �rovni sta procent v�rohodnosti by bylo dle m�ho n�zoru nemo�n�. I z toho d�vodu bych tyto sc�ny nepova�oval za vylo�en� chybn�. Z�itek z epi�nosti v�m to jist� nevezme. Ve vedlej�� roli jasn� z��� Chris Pine, kter� si m�sty krade film s�m pro sebe. Je p��jemn� ho po t�ch letech Star Treku vid�t v dal�� roli. V���m, �e na n�j po skon�en� filmu jen tak nezapomenete. I ostatn� herci dok�zali podpo�it tento sn�mek sv�m talentem. Obzvl�t� se mi l�bil v�kon Davida Thewlise. 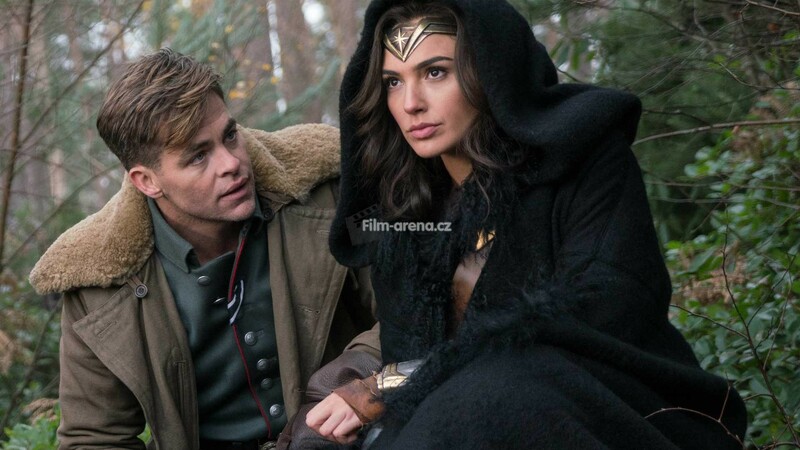 Pevn� v���m, �e Gal Gadot p�esv�d�ila v�echny sv� odp�rce o tom, �e je jako Wonder Women naprosto dokonal�. Tento sn�mek hodnot�m ze dvou �hl�. Jako samostatn� komiksov� film, a jako sou��st DCCU. Jsem p�esv�d�en o tom, �e si takto vysokou zn�mku film zaslou�il. 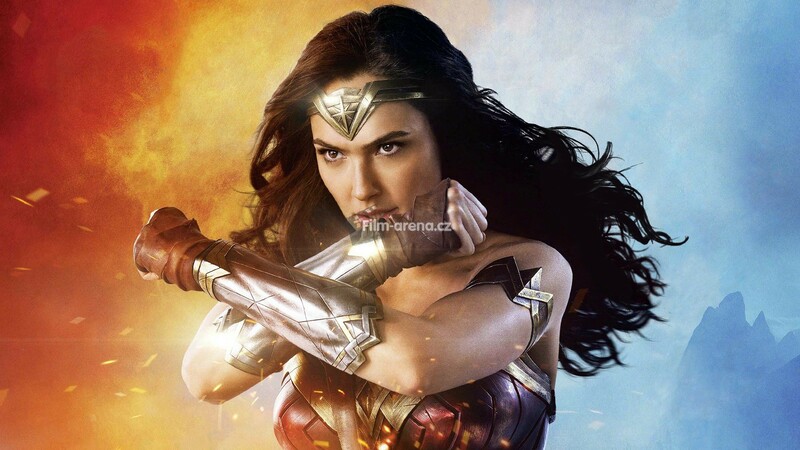 Jednodu�e se d� ��ct, �e kombinace re�is�rky Patty Jenkins a Gal Gadot byla trefou do �ern�ho. N�kdy je prost� t�eba nechat pr�ci na �en�ch. This review openly talks about the film and may contain potential spoilers. I always had very mixed feelings about the DC movie world . Man of Steel did not amazed me at all, so I do not share the enthusiasm of many people. I do not say it's a bad movie, it certainly is not. It just misses the charm I'm used to, either from the DC television or from the MCU. I did not like Batman v Superman until I saw the extended version. The theatrical version was overly cut and some parts lost their meaning. An even bigger mess was the Suicide Squad. Not even the different cut could change taht movie. The idea was good and great cast was also present. But it was probably too little and the whole picture somehow missed the middle part. Wonder Woman is the first picture that does not fit into the previous parts with its main story line. This is, in my opinion, the biggest plus. In a way, it reminds of Rogue One. Thanks to the BvS, we were able to get to know Diana, an unstoppable warrior. It is because of her new story that we can see her as a child, a teenager and finally a beautiful young woman. A woman who faithlessly believes in the principles of her nation and firmly believes in humanity. It was interesting to follow how she gradually changed her mind and came to the stage in which Bruce Wayne finds her. He again awakened the desire to help people and try to neglect their bad qualities. We see the whole picture through a flashback that is triggered by a joint photo from WWI. 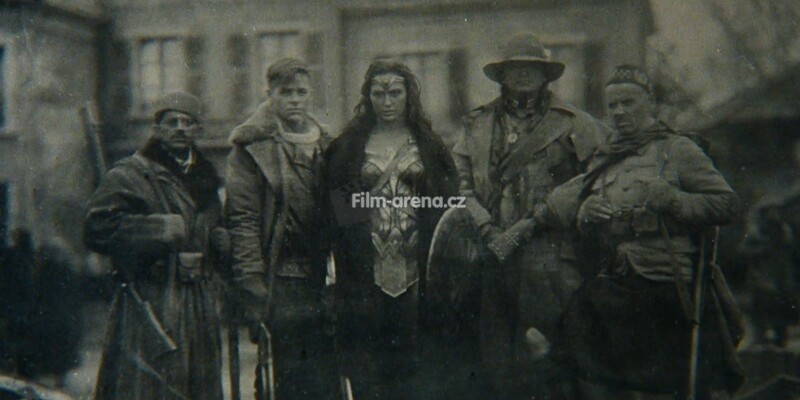 We had the opportunity to see this photo in Dawn of Justice. The film has a relatively slow pace, but it works perfectly for the performance of the character. When we see the action, on an epic scale. For one of the few minuses I have to mark the CGI used on the Wonder Woman battle scenes. From the trailers, her movements seemed unnatural, and partly this was transferred to the picture itself. However, in this case, I see it as a necessary evil for achieving the best effect. Wonder Woman is quick and skillful. She is not an ordinary woman. Digitalizing her movements at the level of a hundred percent of the credibility would be impossible in my view. That is why I would not consider these scenes to be completely wrong. They will not ruin your epic experience. Chris Pine shines as a supporting actor and he steals some scenes for himself . It's nice to see him in another great role after all those years in Star Trek. I believe you will not forget him after the movie. The other actors also supported this film with their talent. Especially I enjoyed the performance of David Thewlis. I firmly believe that Gal Gadot has persuaded all her haters that she is perfect as Wonder Women. I rate this image from two angles. As a separate comic strip, and as part of the DCCU. I am convinced that she earned such a high score. Simply put, the combination of director Patty Jenkins and actress Gal Gadot was an amazing choice. Sometimes work is to be left to women.